Bay 1 contains a 25-ton crane/crane way over 15,000 square feet of dedicated master coil storage. In addition to the 25-ton crane, there are also 2 @ 5-ton cranes for handling our smaller coils as needed. This bay also houses a 12,000# coil upender for skidding and de-skidding coils. All trucks are timely and efficiently unloaded in this bay via drive thru building accessibility. 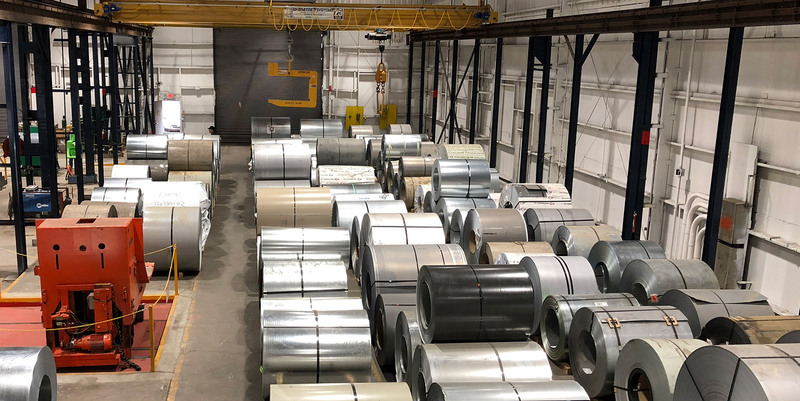 The 7,500 square feet in Bay 2 is dedicated solely to our coil processing and packaging activities. 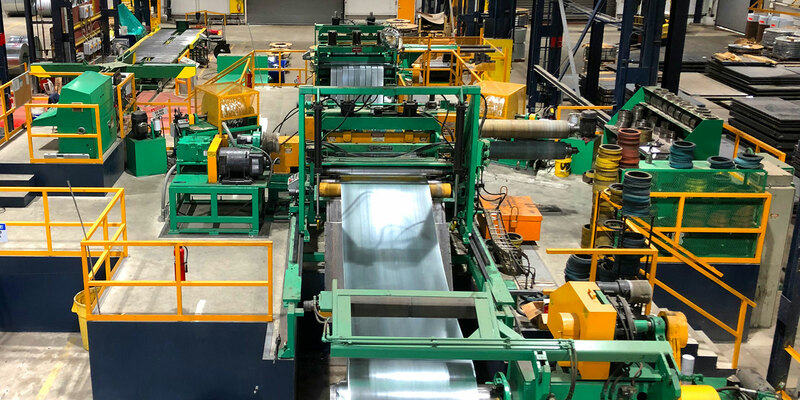 With our 25 ton x 60” wide Braner USA ™ Turret Head Slitter, we can slit coated, HRPO, and painted coils in gauges ranging from .017 thru .125 inches. Our 4 horn turnstile and 10,000# x 72” Braner USA ™ Programmable Slit Coil Packaging Line are synchronized to enable first class material handling and packaging both safely and efficiently. 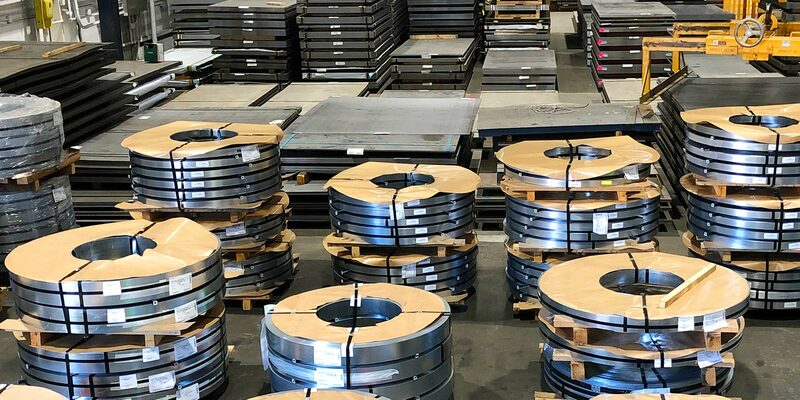 The 7,500 square feet of finished goods storage for our sheets and slit coil is serviced with a 10-ton crane, a sheet lifter, and an ID coil grab. In addition to the overhead crane, we also have forklift capabilities in the loading area of this bay to enhance our truck loading and unloading speed as needed. Our finished products are loaded and unloaded via a dedicated building drive thru. We maintain single direction traffic flow to ensure the safety of our staff and guests alongside safe material handling and close attention to protecting your finished product.